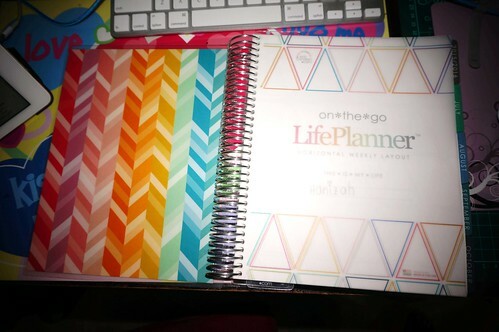 I have been eyeing Erin Condren Life Planner since January 2015. 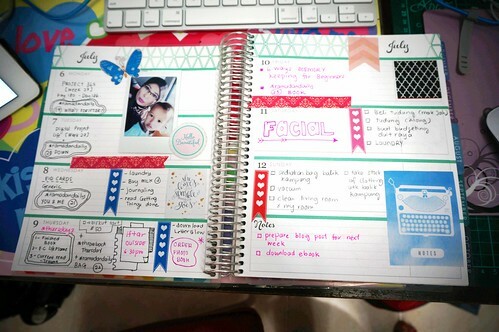 The planner looks so pretty and it has a simple system. I have been obsess with watching Plan With Me youtube channel and I am very determine to get one for myself. I originally planned to buy this planner for 2016 since currently I already have Filofax planner and iPlanner (iPad version) for 2015. 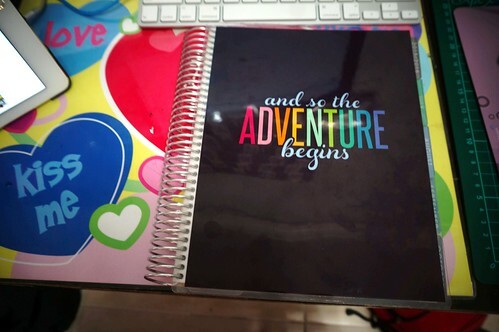 Then in July, Erin Condren launched it's 2015/2016 planner with an option for vertical layout, I was totally excited. 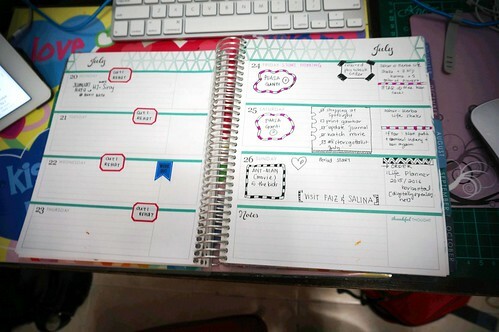 I am used to vertical design and I like planning my week with vertical design. I decided to give this planner a chance and see what the hype is all about. Since this is my first time ordering from Erin Condren, I just choose the ready to ship design without any customisation. A week later I received this planner without any problem. 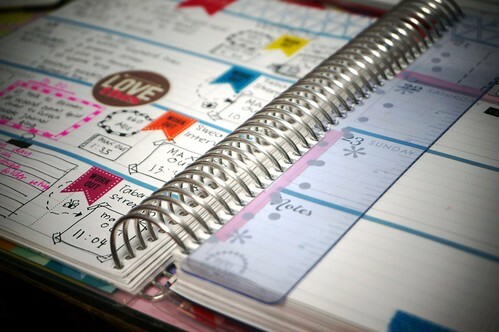 -) the planner is so beautiful. I don't think I will decorate this planner more than necessary. To be honest when I purchased this planner I have no idea what I am going to do with it. I have been back and forth between using this as my daily planner, a diary, work planner or home planner. I tried using this planner at work but somehow it doesn't fit perfectly with my current setup. I am not too excited with the lack of flexibility to rearrange the planner and adding things up. I know that there's a few tutorial on youtube on how to move this planner into Kikki K binder or Filofax binder, it's just too much hassle for me (the beginner) to do it. As of last week I decided to use the Erin Condren planner for my workout schedule, blog schedule and my personal to do lists. I am going to see how this works for me. Keeping different part of my life separated like this is going to be a challenge because I am used to things being all in one place. I wanted this to work for me and I hope that it does. I don't want to waste this pretty planner. 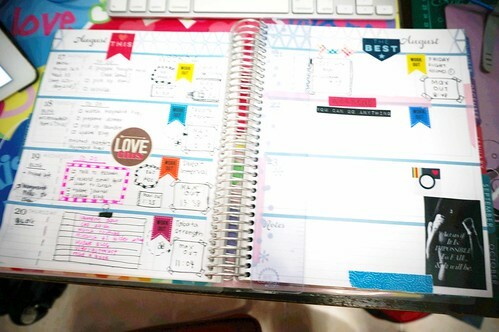 Apparently I need more time to adjust to Erin Condren Life Planner setup. Trying things out and see what works for me. I welcome any suggestion that you might have. I sure do need a lot of help with this planner. I think if this is my first planner before I used binder system, I might enjoy it more. Check out Erin Condren planner and get $10 off on your first purchased. Fahsya here. 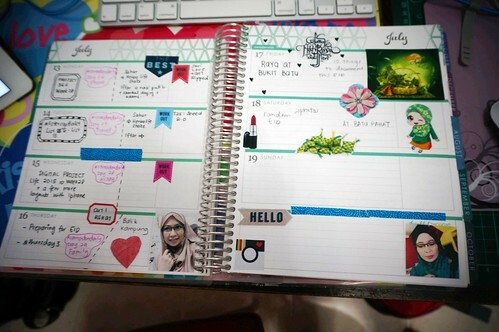 I canr say how happy i am when i found out that there's a malaysia thats using Erin Conderen's planner. AS i thought they dont ship to Malaysia. If you dont mind to share with me how did you purchase the planner? And how about payment method? Using paypal? Is the shipping cost expensive? Thanks in advance on your sharing. You can used credit card or paypal for payment. Shipping rate is USD$19.95 and it took about two weeks to arrived. And they have tracking number.